Everyone has teeth, and smart people want to take care of theirs. At Karen E. Williamson DDS we practice family dentistry, and review basic principles of dental health with our patients. Your teeth may seem like lifeless bone jutting up from your gums. They are anything but that! Teeth are actually living structures. Beneath their hard surface is an interior filled with dentin, a mesh of mineralized connective tissue. Beneath the dentin, at a tooth’s core, are nerves enclosed in a pulpy sheath. They pass through the tooth in canals (the canals you hear about in “root canal”). Finally, each tooth is anchored to your jaw by ligaments and cementum. Between the hygienists in our office and your cleaning regimen at home, your teeth are kept healthy by brushing and flossing to remove plaque, tartar, and stains. 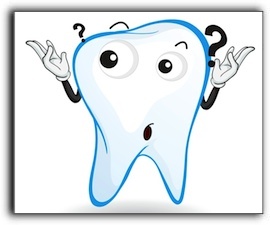 The plaque and tartar, if not removed, are the substances that will eventually lead to tooth decay. With family and general dentistry at Karen E. Williamson DDS in Rockwall, we’ll keep your teeth healthy so they last a lifetime. We also provide cosmetic dentistry services that will make them look as good as they feel. Call us today to schedule an appointment.